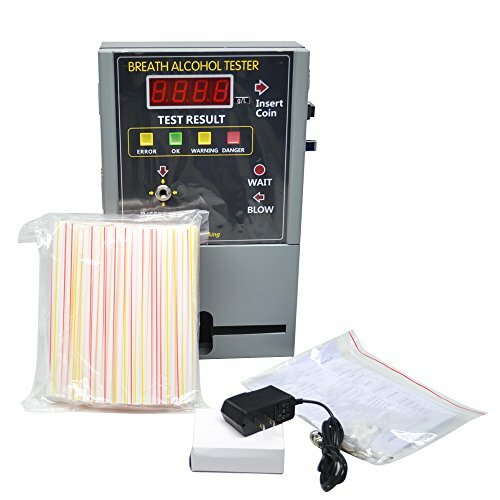 AT819 coin-operated Breath Alcohol Tester, is designed to measure alcohol concentration in the human body. With advanced fuel cell alcohol sensor, this device has excellent sensitivity and reproducibility. Whenable and easy testing process, complete function make it versatile in many occasions. When the alcohol content exceeds the preset alarming level, it will send out an alarm warning and show the result directly and clearly on the digital LCD display. When the alcohol content exceeds the preset alarming level, it will send out an alarm warning and show the result directly and clearly on the digital LCD display. If you have any questions about this product by GREENWON, contact us by completing and submitting the form below. If you are looking for a specif part number, please include it with your message.